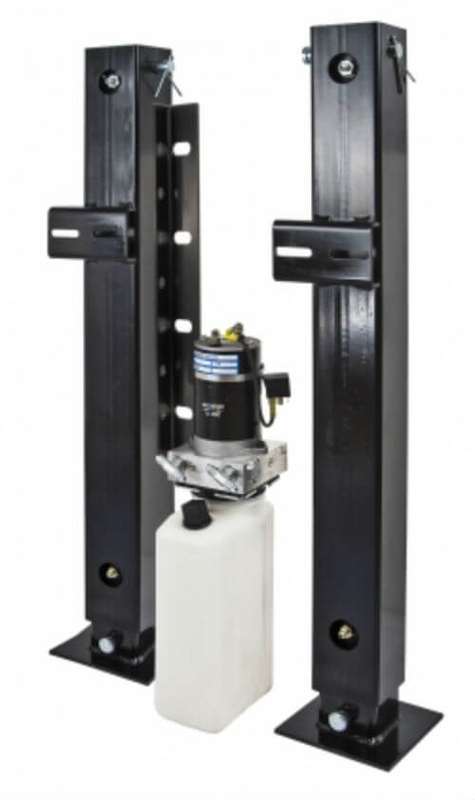 The Equalizer Systems 8414AMUPS is a jack system comprised of two of the 3.5" x 3.5" jacks with a 24" of stroke. A single switch operates the jack legs in tandem. The system has an overall lifting capacity of 15,000 lbs and comes standard with a screw style manual override and mounting brackets. Note: Does not include fluid or bolts.